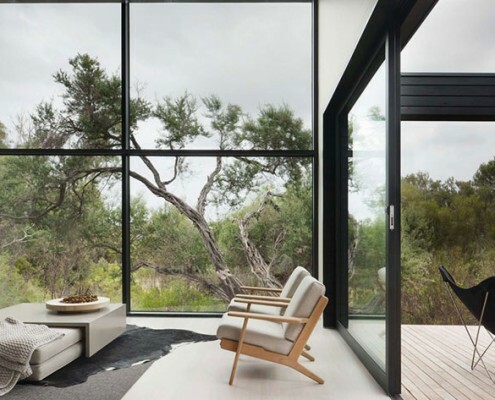 Ridge Road Residence by Studiofour Ridge Road Residence: A Beach House Where Nature is the Star A single tea tree on the site of this beach house became the focus of the project. The aim became to showcase nature, rather than try to dominate and control it. Alfred Street Residence by Studiofour Alfred Street Residence: Clever Extension Creates Better Connection with Outdoors A stronger connection to the exterior courtyards with concealed sliding doors, for access to light, fresh air and aspect.